Slate seeks to save spreadsheet users hours of painful debugging by allowing them to break down their spreadsheet into a graphical, flowchart form. Slate is an Add In for Microsoft Excel 2007, 2010 and 2013. It breaks down complex spreadsheets into a simple, visual flowchart format. Each calculation is represented as a stage in the flowchart, allowing users to see exactly how cells are related. With the click of a button, the user’s sheet is transformed from a mess of confusing cells into an elegant, graphical layout. Unlike Excel’s built-in tools such as trace precedents, (which can easily become a spaghetti-like cluster of lines when used to link together more than just a couple of cells) Slate is infinitely scalable. It can handle any formula and expand to any size of sheet. No matter the complexity of the spreadsheet, Slate will be able to display the logical flow diagram view. From the feedback we have received so far, a tool like this has the potential to save literally millions of wasted man-hours. Both of us have felt the agony of spreadsheets from work at major oil and gas firms, in which we dealt with complex models on a daily basis. 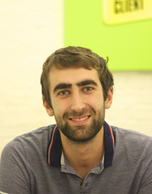 Chris’ work on engine behaviour modelling and Fraser’s experience in oil production modelling have been invaluable in helping to drive the direction of the product. 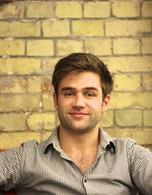 Having both graduated from Cambridge in Engineering and after much searching for a tool that would solve our needs, we decided to tackle the problem ourselves and Slate came into being. When we first opened up our guest list for access to Slate, we had signups from over 1000 professionals within the first 72 hours. It was clear that there was demand for such a product and therefore we looked at ways of funding this exciting idea. As a pair of developers ourselves, with the investment from Kickstarter, we would have looked at bringing on board a third developer to increase the pace at which we could build the product. The fantastic thing about Kickstarter is that it allows you to verify an idea before fully developing the product. If several hundred people are willing to invest in a product that does not yet exist, then there is clear demand for it and it is certainly worth pursuing. Absolutely. 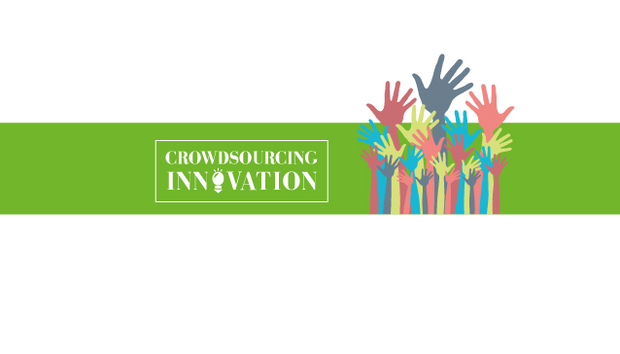 Crowdfunding is a great new idea as it democratises the development of products and services. In contrast to historical product development, in which (apart from possibly a couple of focus groups) the whole product or service would have to be developed before it could be deemed a failure or a success, platforms such as Kickstarter allow the best ideas to rise to the top from the beginning of the development process. What were reactions like on KS? Our main feedback on Kickstarter was that users were incredibly interested in Slate and excited about the idea, but that – because this is a tool that would mainly be used at work – they were not willing to pay for it individually. Sadly, we believe this was the main reason for our campaign not reaching its funding goal. What have you learned from your campaign, and what would you do differently? I think our main learning point was that Kickstarter is best suited for consumer products and services, and that it is extremely challenging to successfully fund a more business-oriented product or service. The price point we chose was closer to what businesses might be willing to pay, and so it may have been wiser to drop this and aim for a higher volume of sales to target the consumer audience that Kickstarter attracts. 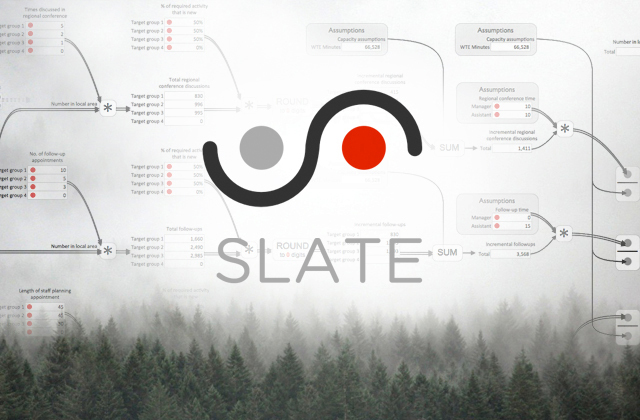 What’s been the biggest challenge in developing Slate? A product like Slate is clearly not a simple one to make. Structuring our algorithm and writing efficient code have been challenging, but the tools that Microsoft Bizspark kindly provide to startups have thankfully made our lives easier in that regard. What’s the learning curve like for Slate? It looks like there’s a lot to get your head around. With Slate, we want to provide the user with all the information they need to understand exactly what the sheet is doing. At the same time, however, it is crucial that a user, having never seen or used Slate before, could understand it straight away. This is why we are using a flowchart layout which people are already familiar with. Who do you see being the main users of Slate? The majority of our signups have been financial analysts, consultants and engineers. Saying that, there is value to almost anyone who comes in frequent contact with Excel. One of our most common anecdotes we hear is from analysts in the finance sector, who often spend hours debugging and finding mistakes in complex financial models that they themselves (or, worse still, one of their colleagues) has created. The concept of Slate really excites professionals and some of the comments we have heard are priceless. We are on track to have a beta version of Slate that we will put out to testers in March, with the final product ready for June. Beyond this, we will be constantly enhancing the product and hope to form long-term relationships with many businesses.